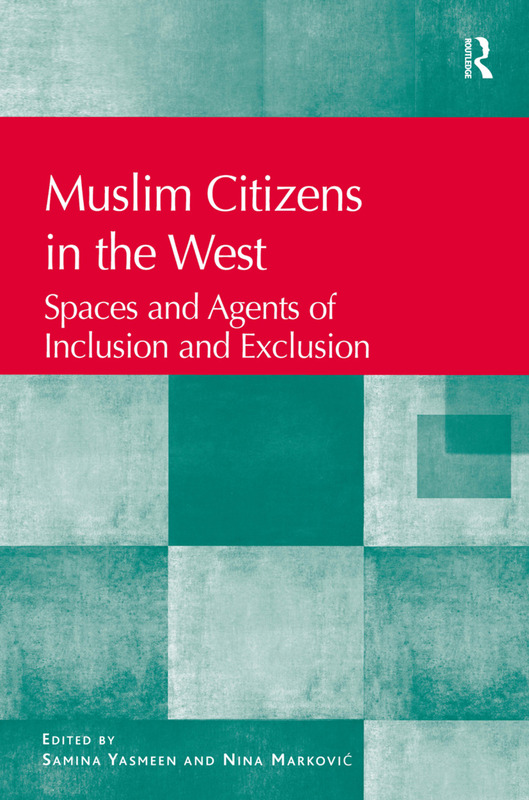 Drawing upon original case studies spanning North America, Europe and Australia, Muslim Citizens in the West explores how Muslims have been both the excluded and the excluders within the wider societies in which they live. The book extends debates on the inclusion and exclusion of Muslim minorities beyond ideas of marginalisation to show that, while there have undoubtedly been increased incidences of Islamophobia since September 2001, some Muslim groups have played their own part in separating themselves from the wider society. The cases examined show how these tendencies span geographical, ethnic and gender divides and can be encouraged by a combination of international and national developments prompting some groups to identify wider society as the 'other'. Muslim and non-Muslim scholars and practitioners in political science, social work, history and law also highlight positive outcomes in terms of Muslim activism with relationship to their respective countries and suggest ways in which increasing tensions felt, perceived or assumed can be eased and greater emphasis given to the role Muslims can play in shaping their place in the wider communities where they live. Professor Samina Yasmeen is Director of Centre for Muslim States and Societies and lectures in Political Science and International Relations in the School of Social and Cultural Studies, the University of Western Australia (UWA), Perth. Professor Yasmeen is a specialist in political, and strategic developments in South Asia(particularly Pakistan), the role of Islam in world politics, and citizenship among immigrant women. Nina MarkoviÄ‡ from the Centre for European Studies, Australian National University, is an expert in European politics and societies. Her research focuses on the role of discourses, nationalism and ethnic identities in foreign policy. She has published numerous academic works with a particular focus on the European Union, Iran, Western Balkans and Russia. She has worked in the Australian Federal parliamentary research service as a Senior Researcher for Europe and Middle East.